The first question is, why is it important to become a Silver ranked distributor? Silver is a leadership rank, and entitles you to more passive income from A2W. I am a Silver distributor with Avenues to Wealth (A2W) and I earn much more passive income. Being a Silver also ensures that you cross the threshold before quitting. Many people who quit do so, because they are not earning or because they have no experience with the company’s product. Silver means you can now earn leadership bonus, and your chances of earning residual income consistently is increased. Contrary to public opinion, network marketing is not going to solve your immediate financial problems. The second question is, how do I become a Silver ranked distributor? 1. Draw a diagram indicating the Silver rank requirement. If your diagram is correct, it should have 1 producing 2, 2 producing 4 and 4 producing 8 on the 4th level. You need to draw this diagram and gradually label each circle with people as you make it happen. 2. Understand what it means to become bronze – sponsor 2 people into the business. Once these two people have been successfully sponsored, you become a bronze distributor. 3. Once you become a bronze distributor, your assignment is to support the two people you got into the business, their progress at this stage is your progress. You can only become Silver after they have sponsored two bronzes each themselves. Change your attitude, and support. 4. If you focus on this goal, you can make this happen in less than 12 weeks. Stop going wide, the wealth is in depth. Work with your people to keep going deeper down. A2W distributors or better still, A2W network marketers are rewarded in active and passive income weekly and monthly. As an A2W network distributor/marketer, I make active and passive income. I get credited A2W rewards every week whenever there is a direct activity from me (active) or whenever there is an activity from the people I have in my A2W business team. As an A2W distributor, one of your function is to assist the company (A2W) with its marketing. This is by making referrals of its products and services. A2W rewards you from its worldwide turnover via four incredible income streams. This means that, for every successful referral you make, you earn from four different income streams. These four (4) income streams can either be active or passive. If you are looking to increase your streams of income, A2W is the business you should start this month. Here are the four (4) income streams. 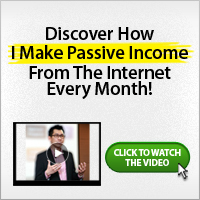 You can make a lot of income (active & passive) weekly and monthly from the income streams. How much you make solely depends on you. This the leadership steps that every A2W distributor needs to follow. This would help increase the amount of income from the A2W rewards streams listed above. The truth is, the steps are not easy to progress but if you take A2W business as a business, you’ll progress successfully. First Step: Active Distributor – This is what you become after you get registered with A2W. - 2 direct referrals that reach the rank of Bronze, with 1 in your right team and 1 in your left team. - Plus your 2 direct referrals both have 2 bronzes each, 1 in their right team and 1 in their left team. - 4 direct referrals that reach the rank of Bronze, with 2 in your right team and 2 in your left team. - Plus your 4 direct referrals both have 2 bronzes each, 1 in their right team and 1 in their left team. * This is in addition to the ones you have as a silver distributor. - 4 direct referrals that reach the rank of Gold, with 2 in your right team and 2 in your left team. 1 Star Platinum – A platinum distributor that earns 20 shares in leaders pool. 2 Star Platinum – A platinum distributor that earns 40 shares in leaders pool. 3 Star Platinum – A platinum distributor that earns 60 shares in leaders pool. To get started with A2W, please read: Steps to Coming on Board A2W. I’ll be looking forward to have you as part of my A2W business team. I hope you find this useful in your journey towards financial freedom using the platform of A2W.